When you haven’t updated your website since 2009, it’s going to look pretty much like your wardrobe did at that point; full of wannabe-hipster quirks, layers that definitely don’t work together anymore, and much too thought-through attempt at looking rough and edgy. Luckily, it’s quite easy to fix and doesn’t have to cost as much as renewing your own look either. 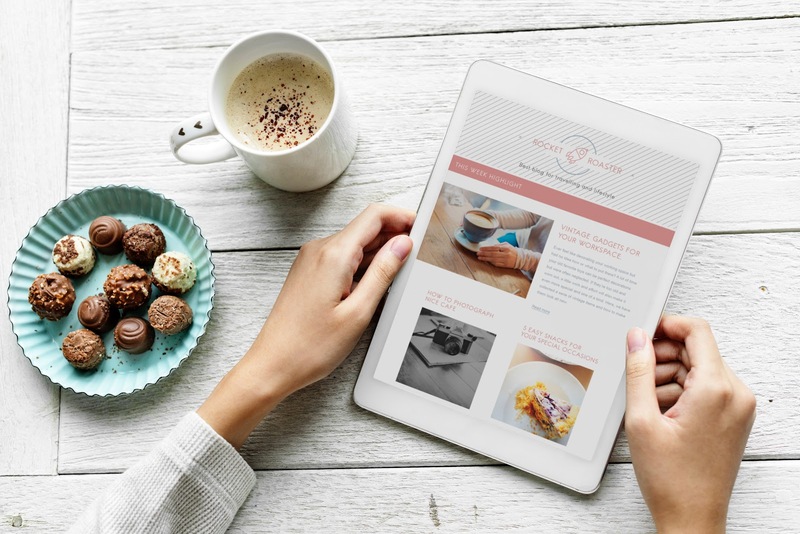 Here is a handful of excellent ways to make sure that your business website is sharp and on-point again so that you can give the right kind of impression. Of a startup that has been in business for the last decade, that is, and not still trying to figure out this whole social media thing. We’re going to assume that you’re up to date on the basic website requirement such as avoiding regular Microsoft Word fonts and always making sure that you’re not cluttering your website. If this isn’t something you’re in-the-know about quite yet, it’s a good idea to have a look at this article before you get started on the rest. That way, you won’t just be piling even more stuff into an already crammed website and can feel confident that you’ve covered the elementary website rules, first of all. The next thing you need to think about is the kind of colours you’re using. While we’re not going to go full-out Vogue on you, there are a few colours you should try to avoid simply because they were ridiculously fashionable at one point and may create a few associations to a website that was launched a decade ago. Plastic-turquoise similar to the ones you’d seen in IKEA magazines ten years ago, for example, rose gold like the one everyone used in 2017, and cool mint can definitely be scrapped if you’d like to avoid those that were most fashionable a time back. It’s not to say that any colour is eve out, though, but rather a heads-up in terms of making sure that your website is suitable for 2019. Now that we’ve covered what not to use, it’s time to look at what you can do to make your website as trendy as possible. It’s for the sake of your business, after all, and the more you can do to appeal to your market, the better it will be for sales and attention as well. While most websites through the ages have favoured a clean and neat look, we’ve never been as focused on it as these days. It could be because the online world, as well as the world in general, is increasingly cluttered and visitors would simply love some peace of mind when they click their way into your site. It’s an excellent idea to ask an SEO company such as Morrison’s Marketing Solutions to help you out with this, by the way, in order to make sure everything is right and so that you don’t waste any time or money. Try to steer clear of the generic and focus on giving your website an artistic and hand-drawn look instead. Since everything can easily be copied, regenerated, and used by everyone, it’s easy to fall into the trap of one-size-fits-all instead of trying to create something original. Find a web designer who can give your site an artistic look instead, keep it neat, simple, and as original as possible. That way, it will be easier for your visitors to remember – and they will feel a bit more tempted to spend more time there rather than heading back into the online world of other generic content.